Since the 1970s, meditation has become increasingly popular in the West and is promoted as a way to reduce stress, bring about relaxation, and even manage depression. It’s now being used in classrooms, prisons, and hospitals. Here in Australia, meditation groups and teachers have popped up like mushrooms: hundreds head off to the free (donation only) ten-day Vipassana courses, or sit and meditate with groups such as the Brahma Kumaris or Sahaja Yoga. There is a general assumption and belief that meditation is a secular technique and is good for everyone. This is the complete opposite of biblical meditation – that is, meditating upon Scripture – where the goal is to exercise your mind by intellectually contemplating the truths of Scripture. Lots of interesting stuff about the dangerous of eastern meditation out there, but I don’t have time (or interest) to dig into it too much. If anyone has decent resources, feel free to share. There is an interesting read over at the Reformed Forum. Jonathan Brack recounts a debate that took place at the Westminster Assembly between congregationalists and presbyterians. It ware much better to find out those places that established a ground for this ruling elder in the New Testament wher this constitution was. What Goodwin and Lord Say failed to recognize was that this was the exact point being debated. If one were to cut loose the Old Testament ground for elder rule, then one were to cut loose the very ground for Presbyterianism, not to mention baptism. For that we must not looke to the state of the Jewish church, is only a warrantableness for the analogy of the Old Testament & New, granted. The brother that spake last said before we must cut loose the argument of Jewish church; [for] but how shall we prove pedo-Baptism? Richard Vines saw the inconsistency in hermeneutical method being deployed by the Congregationalists. If we were to cut loose the Old Testament ground for church polity, then what is to stop us from the Anabaptist tenet of cutting loose our progeny as well? I cut my teeth in reformed theology, and covenant theology, on writings from the Trinity Foundation. TF taught me well the unconditional nature of the covenant of grace. The writings of the PRCA and David Engelsma in particular are often referenced in Trinity Foundation writings in support of this view. However, the PRCA position has some problems I’d like to address. …Such is the development of the doctrine of a conditional covenant in our day that it overthrows the entire theological system of salvation by sovereign grace as confessed by the Reformed faith in the Canons of Dordt and in the Westminster Standards. The doctrine of a conditional covenant is explained by its advocates as denying the heart of the gospel of grace, namely, justification by faith alone on the basis only of the life-long obedience and atoning death of Jesus Christ. Shepherd denies that Leviticus 18:5, Romans 10:3-10, and Galatians 3:10-13 teach a “works/merit principle.”…Shepherd denies that there is any works-merit principle taught in Scripture. When Paul quotes Leviticus 18:5, Shepherd says, he is not saying that Moses taught this principle, but that he was “quoting Scripture according to the sense which his opponents understand it,” that is, Paul’s opponents misunderstood what Moses was saying, and Paul is quoting their misunderstanding. How then does the PRCA deal with the difficult problem of the conditionality of the Mosaic Covenant (we’ll deal with Robbins in a later post)? the Sinaitic covenant was a form, or administration, of the covenant of grace… in the current controversy over the covenant occasioned by the Federal Vision, there is an erroneous doctrine of the Sinaitic covenant, or Old Testament covenant with Israel. Following the lead of the Presbyterian theologian Meredith Kline, Presbyterian and Reformed theologians are teaching that, in part, the Sinaitic covenant was a covenant of works, in fact a renewal of the covenant of works supposedly established by God with Adam in Paradise. …The error of Kline’s covenant theology with regard to the Sinaitic covenant—the “old covenant,” of Jeremiah 31:31-34 and of Hebrews 8—is that it introduces, be it in restricted part and stipulated aspect, the notions of salvation by works and of merit into a form, or administration, of the one covenant of grace. This is fatal to the gospel of salvation by grace. …The covenant theology of Merdith Kline and his disciples is a warning to Reformed theology and churches that to introduce a “covenant of works,” that is, merit on the part of a mere humans, into covenant theology anywhere in the system is inevitably to produce a covenant theology of works and merit with regard to the covenant of grace in Jesus Christ. Kline’s doctrine of a meritorious covenant of works with Adam led him to teach a reinstated covenant of works and merit with regard both to the Sinaitic covenant and to the Abrahamic covenant. But the Sinaitic covenant and the covenant with Abraham were the Old Testament administrations of the New Testament covenant of grace with the church in Jesus Christ. If they were, even in part, a covenant of works, so also is the covenant of grace in Christ. Reformed theologians must take to heart and make their own the exclamation of Martin Luther: “Away with that profane, impious word, ‘merit.’” Save, of course, as was also the meaning of the great Reformer, with regard to the ministry of Jesus Christ. The law of Moses, accordingly, is not antithetical to grace but subservient to it and was also thus understood and praised in every age by Israel’s pious men and women. But detached from the covenant of grace, it indeed became a letter that kills, a ministry of condemnation…It is from that perspective that Paul views especially the Old Testament dispensation of the covenant of grace…(Gal. 3:23f. ; 4:1f.). So the PRCA retains the (conditional) Mosaic Covenant as an administration of the (unconditional) covenant of grace by denying a works principle in any covenant, including the prelapsarian covenant with Adam. We maintain also… that the destiny of Adam and the human race from the outset was much higher than Adam’s paradisiacal state. However, God never intended that destiny to be attained by the obedience of Adam, nor was such a destiny ever within the potential of Adam the first. See also A Critique of the Covenant of Works in Contemporary Controversy. Rejection of the covenant of works is unbiblical. I will not defend the reformed consensus on the covenant of works here, but will assume its truth for sake of brevity (see Guy Waters on Leviticus 18:5 and Murray on Lev. 18:5 – Why Did John Murray Reject the Covenant of Works? as well as my podcast interview with Guy Waters). Adam’s entrance into eschatological rest was a reward offered to him upon condition of his perfect obedience to the law. There is no faith apart from works without a law/gospel distinction. And there is no law/gospel distinction without a covenant of works. As Robbins alluded to above, Lev 18:5, Gal 3:12, and Rom 10:5 are central texts that cannot be correctly interpreted if the covenant of works is rejected. (For more on this, see my posts under the “Covenant of Works” category). Thus the PRCA provide no biblical reconciliation between their Unconditional Covenant and the Mosaic Covenant. This brings us to the second problem with the PRCA’s covenant theology: baptism. Our question, what this means, is occasioned by the incontestable fact that not all of the children of believers are saved. This is no small dilemma. It strikes at the heart of the unconditional covenant of grace. [T]his view conflicts with cardinal doctrines of the Word of God, doctrines which are precious to every Reformed man and woman. For one thing, the promise and covenant grace of God now depend upon the work and will of the sinful child. The covenant and its salvation are conditional, dependent upon the faith of the child. But this stands in diametrical opposition to the teaching of Scripture, with specific reference to this very matter of the salvation of the children of believers: “So then it is not of him that willeth, nor of him that runneth, but of God that sheweth mercy” (Rom. 9:16). 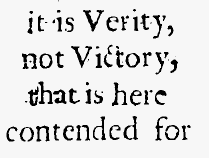 Also, the Reformed faith has creedally rejected the notion that faith is a condition unto salvation: In 1/9,10 the Canons of Dordt deny that faith is a “prerequisite, cause or condition” upon which election and salvation depend, asserting rather that “men are chosen to faith” (cf. also I/Rejection of Errors, 3; III, IV/14; III, IV/Rejection of Errors, 6). Yet another objectionable element in this view is its teaching that the promise of God fails in many cases. God promises salvation to every baptized child of believing parents, but many of them do not receive salvation. The word and promise of God have failed in all these cases. They have failed because the children have refused to fulfill the condition of faith; but the fact remains that they have failed. Although all our children are in the sphere of the covenant and therefore receive the sign of the covenant and are reared as covenant members, the covenant of God, the relationship of friendship in Jesus Christ, is established with the elect children only. Paul’s difficulty is exactly our problem. By promise, God includes our children in His covenant of salvation; but not all of our children are saved. Scripture’s solution of the apostle’s difficulty solves our problem as well. The children of believers to whom God graciously promises membership in the covenant are not all the physical offspring of believers. They are rather the “children of God” among our offspring. And the children of God are those who are chosen in Christ. These are the ones whom God counts for the seed when he says, “I will be the God of your seed.” These, and these only, are “the children of the promise.” To them, and to them only, is the promise given. In every one of them is the promise effectual to work faith in Jesus Christ. Summarizing all this now, we come to the following conclusion. God has a people in this world which is called Israel, which bears the name of the children of God. That people exists organically and develops in the line of the generations of believers. It must be called by the name of God’s people. They with their children are called the church, the congregation of Jesus Christ, God’s covenant people, Israel. …let no one draw the conclusion from this that all who are in the sphere of this church as it exists historically are also actually spiritual children of the promise. There is an Israel according to the flesh and an Israel according to the Spirit. And they are not all Israel who are of Israel. There is an elect kernel, and there is a reprobate shell. And God will be merciful to whom He will be merciful also within the sphere of the historical covenant in the world. …Understood in this sense, we do not object in the least to speak of an external and an internal covenant of grace. If only the organic idea is maintained. Hoeksema was attempting to explain the meaning of their Baptism Form, which says that the baptized child is sanctified in Christ – which he argues must be taken subjectively in reference to the actual infant being baptized. The problem, of course, is that if the child is reprobate, they could not have been sanctified in Christ. Furthermore, since they deny a conditional covenant, they cannot say the child is merely “covenantally” sanctified. Apply this now to the Baptism Form, and every difficulty simply falls away. The Baptism Form is one of the most beautiful documents transmitted to us by our fathers. Only, keep in mind that in this Form the congregation is conceived of organically, and that the whole is called by the name of the elect kernel. This is the reason why that Form is so definite and so clear. This is the reason why the believing congregation, if she again understands that Form correctly, can so heartily confess her faith, speak her vows, and send up her thanksgiving to the throne of grace according to the language of that Form for the Administration of Baptism. By “organically” Hoeksema has in mind the concept of botany. Referring to Isaiah 5:1-7 and Romans 11:17-24, Hoeksema explains how God’s covenant is like a plant. …that entire people must be addressed, treated, comforted, and admonished as the Israel of God. And yet, at the same time, you may never forget that not all is Israel that is called Israel. There are branches which never bear fruit, which bring forth wild fruit, and which are presently cut off. …It is one vine. And that vine is, according to its proper essence, or core, the object of God’s grace and favor. But that same vine is, from the viewpoint of the branches which bring forth no fruit or which bring forth wild fruit, corrupt fruit, the object of God’s fierce anger and wrath. God realizes His covenant in the line of generations. He gathers His church from age to age from the children of believers. As the Puritans were fond of saying, “God casts the line of election in the loins of godly parents.” For the sake of the elect children, all are baptized…Viewing their children as God’s covenant children, believers must approach them as elect children in their teaching and discipline, even though there may indeed be reprobate and unregenerated children among them. Election determines the approach. All the children must receive the instruction that the regenerated must have and will profit from. By means of this rearing in the nurture and admonition of the Lord, the covenant promise will work the fruit of conversion in the elect children. For the sake of the elect, all children are baptized and considered covenant children. Since some of the children might be elect, and might thereby profit from being baptized and considered in covenant, they are all, reprobate and elect, baptized. Of course all of this is the result of inferences drawn from the Abrahamic Covenant and circumcision’s parallel to baptism. However, it is precisely this covenant that throws a wrench into the rigorous logic of the PRCA. And therefore also the Lord God chose His own children out of those fleshly children of Abraham. He formed them and called them to be living children of God. And now the Word of promise did not pertain to all the children of Abraham, but only to the seed of election. The Lord maintained His sovereign good pleasure also within the sphere of the seed of Abraham according to the flesh. “In Isaac shall thy seed be called,” (vss. 7-9). According to the PRCA reading of Romans 9 as quoted here and above, verses 7-8 teach that Ishmael is a reprobate child of the flesh, not an elect child of promise like Isaac. Re-read the above quote, then re-read the previous quotes from Hoeksema and Engelsma on Romans 9. “[The elect], and these only, are ‘the children of the promise. '” Ishmael, per Paul in Romans 9, was not a child of promise. Therefore, if Paul is teaching about election to salvation in these verses by way of a internal/external or kernel/husk view of the Covenant of Grace, then he is teaching that Ishmael was reprobate. Make sure you grasp this point. In Genesis 21:12, God says to Abraham “Through Isaac shall your offspring be named” in contrast to Ishmael. Thus, in this context, whatever “through Isaac shall your offspring be named” means, God chose Isaac and not Ismhael for that. I’m not sure of any other way of interpreting that verse. Paul quotes that verse and argues from it that not all of Abraham’s offspring are his children. This means that Isaac, and not Ishmael, was a child of Abraham (whatever that may mean). Paul draws the conclusion that not the children of the flesh of Abraham (Ishmael) are the children of God, but the children of the promise (Isaac) are counted as Abraham’s offspring. How can we possibly draw any other conclusion from these verses than that Ishmael is a child of the flesh and Isaac is a child of the promise (whatever that may mean)? I don’t see any way of coming to any other conclusion than that Paul says Ishmael was a child of the flesh, not of the promise. Therefore, if as Engelsma said “Paul’s difficulty is exactly our problem. By promise, God includes our children in His covenant of salvation; but not all of our children are saved. Scripture’s solution of the apostle’s difficulty solves our problem as well.” then Ishmael was reprobate. This is a problem because Ishmael not only receives the covenant sign, but he does so after God says the covenant will not be established with him – that he is not a child of promise. According to the PRCA view, the only reason Abraham should circumcise his offspring is that they might be elect and therefore the promise might be to them. But God very clearly told Abraham that this was not the case with Ishmael, and yet he was still circumcised. He did not even remain within the “sphere of the covenant” but was sent off to another land. This cannot be accounted for consistently by the PRCA view. This is a forceful strike two. Furthermore, the PRCA’s commitment to both an overarching covenant of grace consisting of numerous covenantal dispensations or administrations and to the concept of an unconditional covenant cannot account for the clear teaching of covenant breaking. They cannot ignore this teaching, so they deal with it as best they can: covenant breaking is only really covenant breaking from man’s perspective. There are some who have sought to harmonize the teaching of Scripture concerning the unbreakableness of God’s covenant with those passages of Scripture that speak of the sin of covenant breaking by teaching a conditional covenant. According to these people all of the children born to believing parents are in the covenant, possess the promise of the covenant, and receive covenant grace. But through their own sin, they fall out of the covenant, relinquish the promise of the covenant, and frustrate the operations of Gods covenant grace. This teaching of a conditional covenant, however, has serious difficulties, and raises more problems than it resolves. The teaching of a conditional covenant ought to go against the grain of every truly Reformed man or woman. It is a teaching that involves a denial of God’s sovereignty, at least in the salvation of the children of the covenant. It is a denial of the preservation of the saints, of the irresistibility of grace, and of the total depravity of the children of believers. This is not a teaching that harmonizes the unbreakableness of God’s covenant with covenant breaking, but throws out the window the unbreakableness of God’s everlasting covenant. Covenant breaking is the sin of someone within the sphere of the covenant. It is the sin of one who has been born into the covenant, born to believing, covenant parents. …Does this at all contradict the teaching of the unbreakableness of God’s covenant? Does this destroy the everlasting character of the covenant of grace? Does this in any way imply that these people were ever actually genuine members of God’s covenant? Not at all. Scripture describes the sin of these people from their point of view. But is this true? Is Jeremiah 31:31-33 written from a human, covenant-breaker’s perspective? No. It is written from God’s perspective. God says Israel broke His covenant, not that they appeared to break His covenant. The PRCA cannot account for covenant breaking as described in the Bible. Strike three. I sympathize with their attempt to be logically consistent, but covenant breaking cannot be dismissed as simply an accommodation to human perspective. Finally, let me point out that in the New Testament the expression is not found. I pointed out earlier that the Old Testament usage of this terminology stands connected undoubtedly with the fact that at Sinai the law was imposed upon the promise. But in the new dispensation we are not under the law, but under grace. Only once is the expression “covenant breakers” found in the New Testament, in Romans 1:31. But there the expression has nothing to do with the covenant of grace between God and His people, but rather with man-to-man relationships. Much of the development of PRCA’s covenant theology has been in opposition to a conditional covenant view that has plagued Dutch churches and is analogous to the Federal Vision. E. Calvin Beisner (OPC) has spent a great deal of time understanding and combating the Federal Vision. In response to FV’s claim that, simply stated “The children of believers are saved” Beisner recognized, like the PRCA, that “the promise” of Genesis 17 is only to the elect. However, Beisner recognized that the necessary implication is that physical heritage is irrelevant to the promise of salvation. The promise is not made to the children of believers. The promise is made to the spiritual seed of Abraham (believers), period. The promise is to believers, not to believers and their seed. Beisner recognized this has implications for how Acts 2:39 has traditionally been understood by paedobaptists. If the PRCA were willing to abandon their commitment to the one substance multiple administrations view, all 4 of their problems would be resolved and they would retain the biblical teaching of the unconditional covenant of grace by identifying the covenant of grace with the new covenant exclusively. First, as just explained, it removes the problem of covenant breaking. Scripture never says the New Covenant is or can be broken (though both the Abrahamic and Mosaic can). But what are we to make of Romans 9 if the organic principle of an elect kernel and reprobate shell is rejected? Well, it’s not rejected. It’s refined. There are two Israels. One of the flesh, the other of the promise. Both are considered the people of God, but are so constituted on a different covenantal basis. Israel according to the flesh is constituted a people on the basis of the Mosaic Covenant – typical of the true Israel of God, constituted on the basis of the New Covenant. And both of these covenants and people flow out of the Abrahamic Covenant, as Galatians 4:21-31 says. Hoeksema was right. There is a two-fold seed. But he was wrong that the children of the flesh were outside of any covenant with God. …Both of these men, then, must have been in the covenant, although, as for Ishmael, the covenant line did not proceed from him in his generations, but in Isaac and his generations (v. 21)… Ishmael is not, therefore, excluded from the covenant and its blessings: but he is not the transmitter of the seed through whom Christ would come. I agree in part with Harbach – the account in Genesis 17 and 21 refer to whom the promised seed will proceed through. When God says He will establish His covenant with Isaac instead of Ishmael, He is not commenting on the salvation of either because He is not talking about the covenant of grace, but the covenant of circumcision. Thus, again, Paul uses the example of God sovereignly choosing through whom the promised seed will come in the covenant of circumcision and applies it to the question of individual salvation. This interpretation has the added benefit of answering Arminians who argue that the Old Testament contexts of the election quotes Paul uses refer to “election to service” rather than individual salvation. Much of the biblical data about predestination and election (e.g., Rom. 9) refers to this utilitarian predestination, which is part of God’s eternal purpose regarding how salvation would be accomplished, not how it would be applied to individuals. It would therefore be eisegesis to read Romans 9 and conclude that Paul is making a statement about distinctions between being in covenant and being in the sphere of the covenant. Nowhere does Paul ever say this. Paul is making distinctions between national Israel, to whom belong the covenants (they are/were actually in covenant with God), and true, spiritual Israel, to whom belong the ultimate fulfillment of those previous covenants: the new covenant/covenant of grace. They are not all [spiritual] Israel (the church) who are descended from Israel (the nation). It is true, they were the children of Abraham according to the flesh: but on that account they can have no other privilege than Abraham had in the flesh himself; and this was, as we have showed, that he should he set apart as a special channel, through whose loins God would derive the promised Seed into the world. In like manner were they separated to be a peculiar people, as his posterity, from amongst whom He should be so brought forth. Owen says the olive tree refers to the fact that before Christ came, the carnal and spiritual seed of Abraham “had been carried on together in a mixed way for many generations”, but the breaking off of the unbelieving branches shows that this mixed state was “coming now to be separated”. The “elect kernel in a reprobate shell” that Hoeksema refers to has reference to the Old Testament context of the church (believing saints), and not to the present situation. Today, the only way to be of the “people of God” is by faith, because the former means of being considered a people of God (Abraham’s carnal seed) has now ceased and the branches were cut off (a one time event, not a continual pruning taking place even today). Romans 11:16-21 does not teach that children of believers are grafted in to the olive tree at birth and are later cut off. Rather, the passage teaches that the only way to be of the tree is by faith. Finally, for a better explanation of Hoeksema’s appeal to Isaiah Isaiah 5:1-7, see two sermons from Samuel Renihan: Why Did God Exile Israel? and Why Did God Destroy Israel? The Protestant Reformed Church in America’s commitment to both an overarching covenant of grace with multiple administrations and an unconditional covenant of grace leads them to several lethal problems. The PRCA attempts to resolve the conflict that arises when one believes the conditional Mosaic Covenant is an administration of the Covenant of Grace by denying that human merit exists in any covenant, including the prelapsarian covenant of works with Adam. This denies the law gospel distinction essential for a proper understanding of the gospel and is unbiblical. Their attempt to explain why reprobate children are baptized, based upon their reading of Romans 9:6-13, cannot consistently account for the case of Ishmael. Their covenant theology cannot account for the biblical reality of covenant breakers. Their restriction of “the promise” of Gen. 17 to the elect requires them to conclude that the promise is to believers, not to believers and their seed.